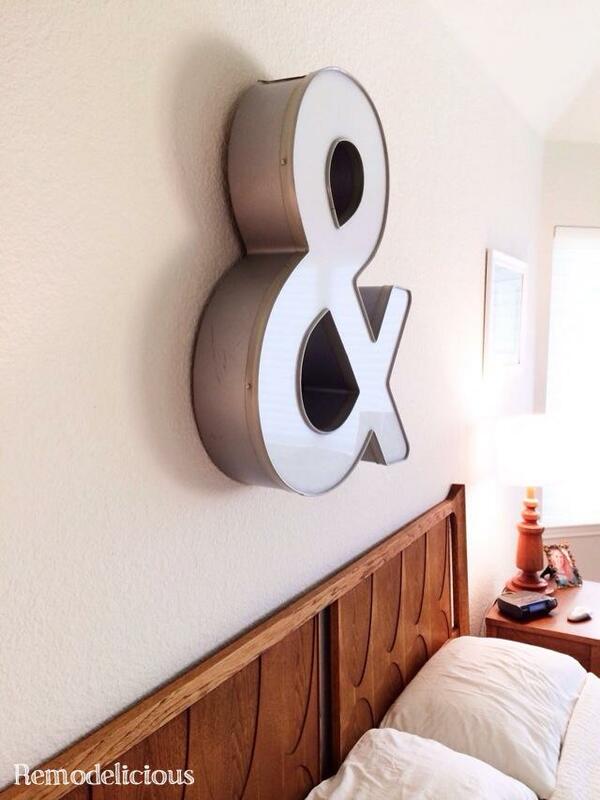 I don’t think I’ve shown it before, but we had an awesome vintage ampersand sign in the bedroom. 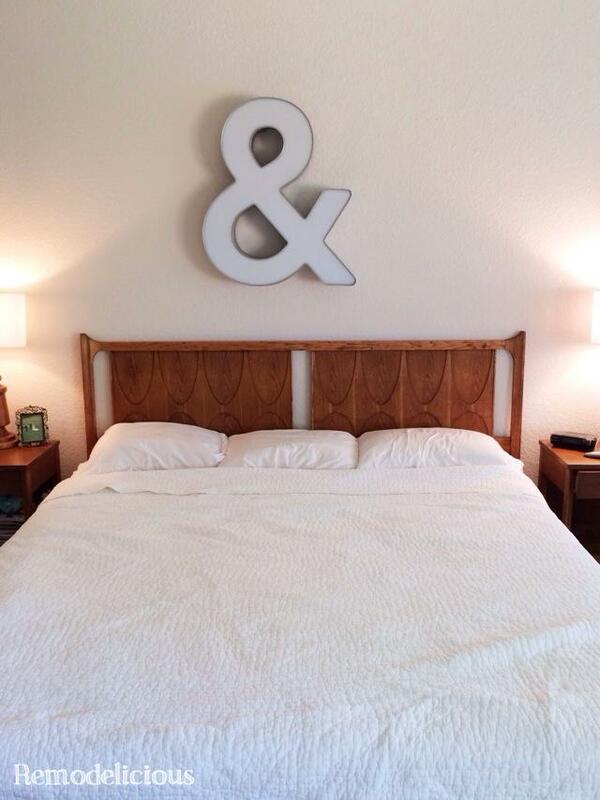 I accidentally was inspired by Dave & Carrie’s ampersand over the bed after I found it (I couldn’t remember where I’d seen it until well after I’d hung it and then had a DUH moment). Ignore that it’s not centered for a moment… it’s a cool message. But one thing bothered me. Our sign still has the casing which is really cool since I’ve always planned on adding lights back to it. However, I didn’t like how it stuck out so much farther than our headboard. 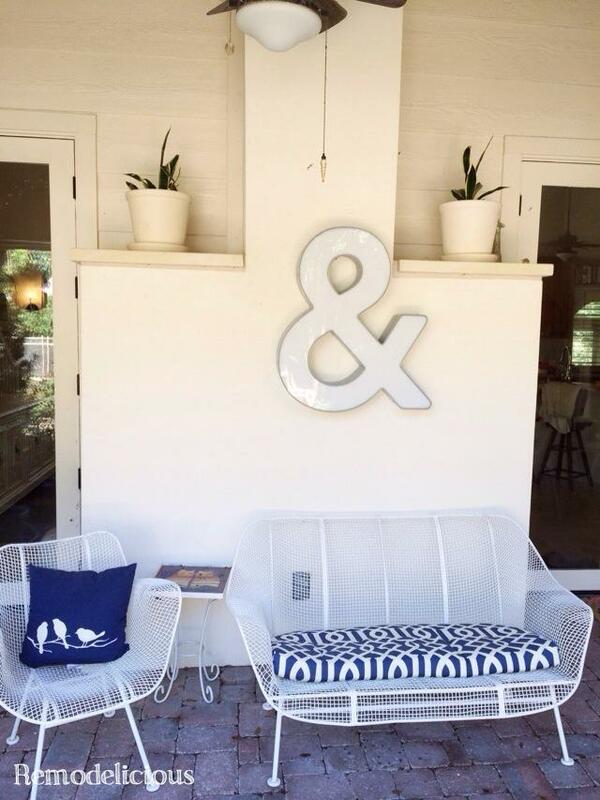 We also needed something for the patio. I’ve been on the hunt for a cool sign to add some ambient lighting to the porch in the evenings without turning on the overhead lighting. 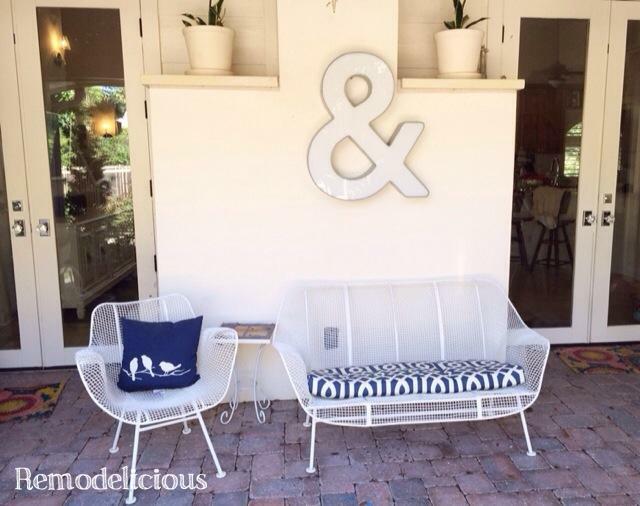 In the spirit of shopping in our own house while we rearrange a few things, I thought I’d try this on the porch. It’s hung in an old hook and needs to be re-centered, but I like where this is going. It will get hung better after adding lights. Now it’s time to shop for art for over the bed – in the attic, garage, or maybe in the living room?